ONE Warrior Series is a subsidiary of ONE Championship™ (ONE), the largest global sports media property in Asian history. Its documentary program “Rich Franklin’s ONE Warrior Series” is currently in its second season. 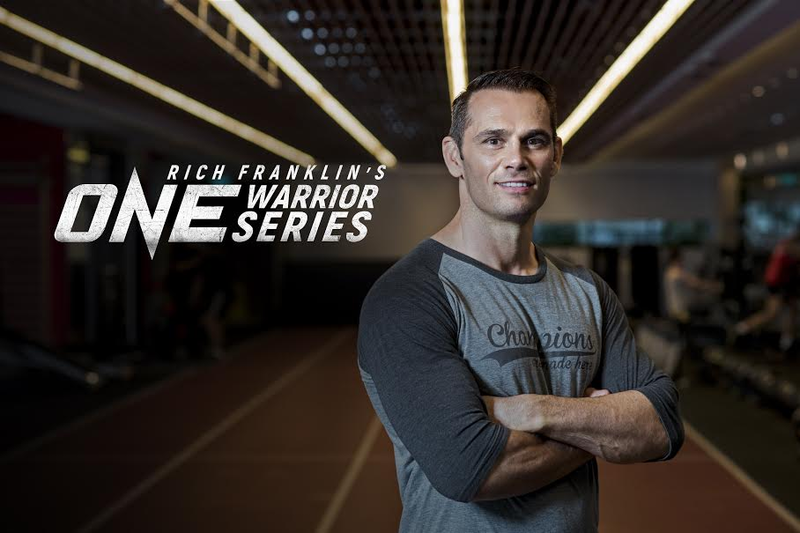 Franklin hosts “Rich Franklin’s ONE Warrior Series” with Jonathan Fong. The latter is also the director of the show. The winners of “Rich Franklin’s ONE Warrior Series” Season 1 were Rockie Bactol of the Philippines and Kim and Woon Kyum and Park Dae Sung of South Korea. The three Warrior Bonuses were awarded to JD “Headshot” Hardwick of the United States and Shahid “Rude Boy” Siddiqui and Faizan “The Grenade” Khan of Pakistan. “Rich Franklin’s ONE Warrior Series” Season 2 took Franklin and Fong on an epic adventure through Asian destinations. Among these destinations are Brunei as well as Jakarta, Flores Island and Bali of Indonesia and Kota Kinabalu, Labuan, Johor Bahru and Batu Pahat of Malaysia. In a blockbuster mid-season finale, “Rich Franklin’s ONE Warrior Series” Season 2 will culminate in Singapore on July 19, 2018. It will be broadcast live on the ONE Super App.